In older versions, retro versions were made for reasons like this. Any ETA on when the second half will arrive? Really waiting for that Enslavers campaign. To be honest, Enslavers 5.0 is out, look in that thread. It's probably still buggy, but it's there. Hello! Thank you for your great Mod! Looking forward to replay through the old campaign on the SCII engine. One question though; Is it at all possible to install multiple versions of this mod at the same time? I would like to play through episodes 1-3 on the new 7.0 version, and then play through episodes 4-6 + extras on version 6. Could this be done, or will I just have reinstall several times? 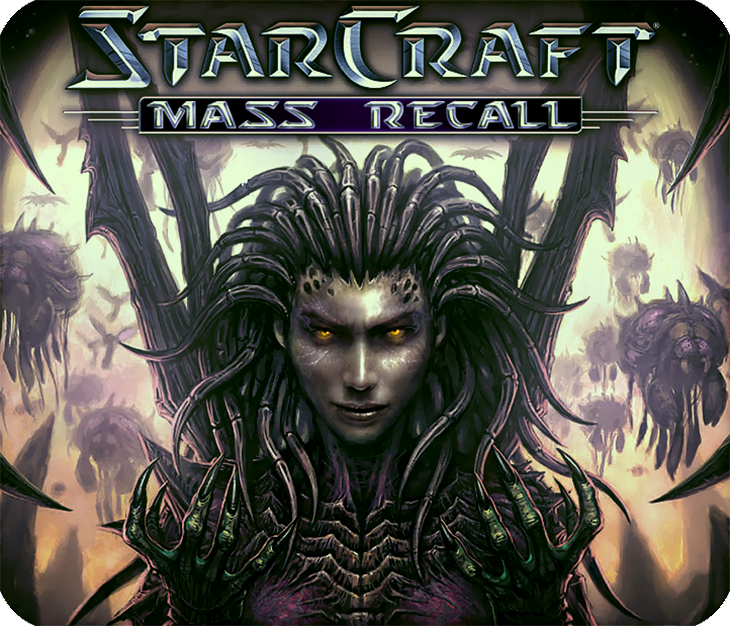 Everything is in the "Maps" and "Mod" folders, so you can duplicate those, store them elsewhere, and copy-paste the one you want to play at the moment in your Starcraft II folder. Ok, sounds easy enough. Thanks! I am not sure I am doing it correctly, but it seems that shortcut key settings are somewhat messed up. I tried to set alternate keys for target selection, as what I have always done for playing co-op missions. However, once I did that, many of the normal shortcuts get disabled such as Esc for canceling, D for dropping, etc. I also observed that there are multiple keys remaining unset, regardless of my efforts to try to set them. Any help would be appreciated. Thanks! Anyway, I thank you for this work, I like these missions and original Starcraft 1 story more than Sc2. Just a minor bug, it dis not disturbed me lot: the new custom unit portraits (siege tank for example) did not moved when I clicked on them, just their voices responsed, but no speaking animations. Neither Siege Tank, nor Battlecruiser. The other, bigger problem is an old one, I remember in 6.2 there was a problem in the Sc Original last Protoss mission (Eye of the Storm its name, I am not sure), the Terran SCVs don't repair units and structures automatically (auto repair was turned on of course). Anyway, I really thank you for your hard work, I hope you will work with this in the future, solving these remained bugs. I have a problem with E1M2 Backwater Station. It completely skipped the intro and difficulty selection and immediately loaded the map. Raynor is listed as a neutral unit that I have no control over. Regarding the cinematic after the New Gettysburg mission. Is there any way to create an option for disabling it, and see the cutscene from version 6? I understand the reasons why the cinematic was introduced, but there are also reasons why it shouldn't have: it is not faithful to the original mission and watching it makes the other cinematics look more outdated than they are. If it's not too much to ask I would really appreciate if such an option would be implemented, if not I understand it would create too many complications. Anyway thank you very much for working so much on this project. Knowing this team of mad men, they will probably put in an option to switch it in the main menu and let you play both cinematic's too if you want. Cause they don't know the word impossible. Regarding the cinematic after the New Gettysburg mission. Is there any way to create an option for disabling it, and see the cutscene from version 6? Yup - In the Launcher you can set the map to as it was in classic mode - a platform. Granted its still not in "space" but in "low-orbit" over Tarsonis, but its still a platform. As a platform is no longer canon by Blizzard, however, the original in-game cinematic plays there. If you select it as a "city" map, the SC2 cinematic will play at the end instead, since "city", is the new canon. But "platform" is the classic. Yeah. Well, honestly I simply liked to play the mission in a city and at the end just see a lot of zerg rushing in, without the cinematic, but through gameplay, simply because later I would go in SC2 and see the same event through a very beautiful cinematic, which just gave me a feeling that the game was evolving from iteration to iteration. But I understand why it was included. The point I made was simply a personal opinion. Thank you for the reply and all your effort and dedication. I do second your thought process, actually. As cool as I thought it was to include the SC2 cinematic, it makes that particular cutscene less special when playing SC2. Looking back, I did like the gameplay cinematic of the Gettysburg Zerg city invasion, in V6. I know this was a first release so not all the bells and whistles not working or at least not working as intend is perfectly fine. But lately I have had time to play and just finished the New Gettysburg mission. Ahem, sorry. But I asked you guys years ago if it were possible to put in the Starcraft 2 cinematic at the end. For continuity with SC2 and be AMAZINGLY AWESOME, but I knew it would be unlikely and bridge too far. I am putting this down right now, GREATEST MOD OF ALL TIME! Hello! When will be release the translations sound and text packs for the 7.0 version? 1.Protoss carriers that attacking my base just flying and do not attack (some carriers in toss bases use their interceptors). 2.Draguns regen their shield while they in fight. P.S Is there any way to put on Retromod skins? P.S.S Do MassRecall team have in future plans to make COOP campaning? (Like these coop maps for starcarft 1). 2: You mean fast, like they do in Co-op, or slowly like other units? If second, then it's not a bug, protoss units do regenerate shields in combat in SC1.